Not Available in All Climates: Regional efficiency standard differences mean that this unit can only be sold in northern climates. Ask your local contractor to find out if this unit is available for sale is your area. Lasts Long: A properly functioning interior is assured with a hefty exterior. This air conditioner is constructed using galvanized steel coated in a corrosion-resistant, polyester-urethane finish. Extra-Quiet Performance: The swept-wing fan blade helps reduce noises associated with a running air conditioner. Your life won't be interrupted by unwanted noise. Maximize Efficiency Rating: An air handler or gas furnace with an energy-efficient motor can help this air conditioner achieve maximum SEER ratings. Numerous Quality Checks: At the factory, this unit is checked repeatedly for quality performance. Before it is shipped, this unit is looked over 144 times. 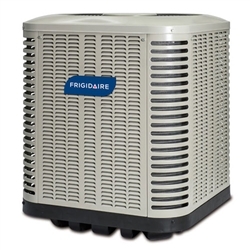 The FSA1BD air conditioner model is reliable and offers 13-SEER cooling when matched with a proper coil. Exceptional quality is assured through the use of numerous quality checks at the factory and the use of durable construction materials.